The Typography icon allows you to change the Typography of individual items or the whole page. The Position icon allows you to move an item around the page. The Resize icon allows you to change the size of the item. Note: Not all items are re-sizeable both ways. Some will only allow you to resize the height or the width. The Animation icon allows you to add motion effects to your items. 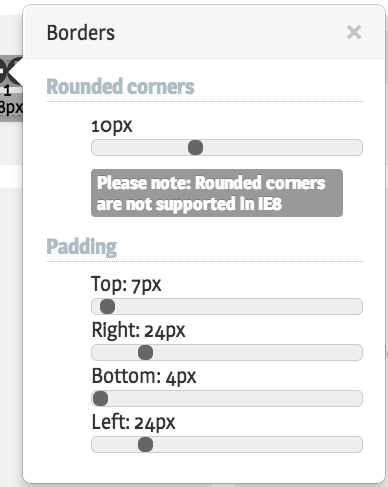 Note: Rounded corners are not supported in Internet Explorer 8. 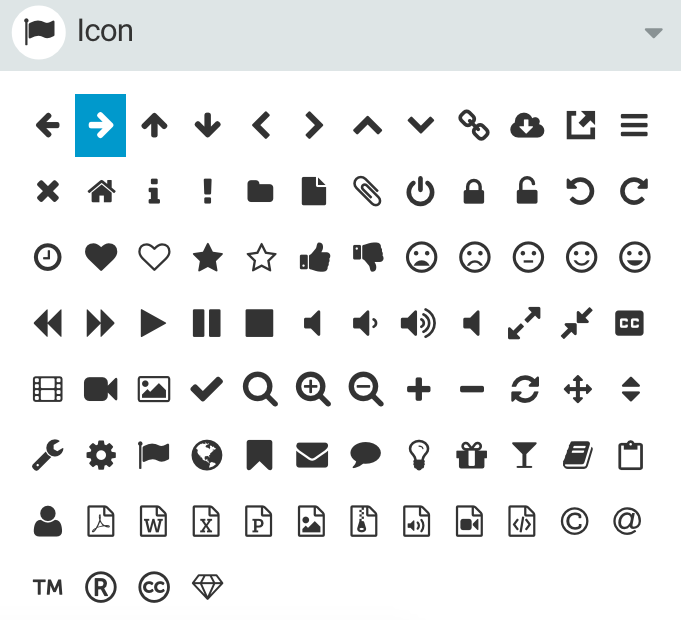 The Icon control allows you to specify an icon that will display on the area you have chosen to edit.